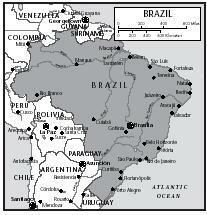 Brazil is the largest country in South America, and the fourth-largest country in the world. It lies on the East Coast of South America. Because Brazil lies in the Southern Hemisphere, the seasons are reversed from those in North America: the winter months are May through August, and the warmest summer month is January. The mighty Amazon River, the world's second-longest river after the Nile in Egypt, flows across northern Brazil. The area around the Amazon River is known as one of the world's largest rainforests. About one-fourth of all the world's known plants are found in Brazil. In the latter part of the 1900s, logging and other commercial industries were damaging the rainforest of Brazil. Dozens of animal and plant species became extinct in Brazil during the 1900s. The destruction of the rainforest environment has slowed a little, however. Brazil's soil is not fertile enough for agriculture in most areas, but it does produce large quantities of cocoa (it ranks third in cocoa production after Cote d'Ivoire and Ghana, both in Africa). River water that flows near cities is polluted by industrial waste. Place the milk in a large saucepan and bring to a boil over medium-high heat. Remove it from the heat, and add the sugar and the egg yolks, one at a time, mixing well with a wire whisk after each addition. Add the cloves and the lemon juice. Cook over medium heat for about an hour, stirring occasionally, until the mixture becomes golden and grainy. feijoada , a thick stew of black beans and pieces of pork and other meats. It is usually served with orange salad, white rice, farofa (ground manioc), and couve (kale), a dark green leafy vegetable that is diced and cooked until slightly crispy. Cut the bacon strips into big pieces. Fry them in a large pot over medium-high heat for about 3 minutes, stirring often. Cut the onion in half. Peel off the skin and outer layer. Chop both halves into small pieces. Peel the cloves of garlic. Chop them into small pieces. Add the onions and garlic to the bacon in the pot. Stir until the onions are soft, about 3 minutes. Cut the sausage and beef into 1-inch pieces. Add them to the onions and garlic. Cook until the meat is brown on all sides. Add the stewed tomatoes (with juice), hot water, yellow mustard, and some salt and pepper. Turn the heat down to simmer. Cover the pot. Cook for about 45 minutes, stirring often. If it looks too thick, add more water, ¼ cup at a time. Add the black beans (with liquid). Cover the pot, and cook for 10 more minutes. Peel the oranges and remove the inner core. Cut the oranges into thin slices. Arrange the slices on a plate. Sprinkle them with sugar, salt, and pepper. Serve, or cover with plastic wrap and refrigerate until ready to eat. This salad offers sweet, salty, spicy, and tart tastes in one dish. The fresh orange slices are sprinkled with salt, pepper, and sugar. Almost every kind of fruit grows in Brazil, including apples, oranges, peaches, strawberries, bananas, papayas, mangoes, and avocados. Fruits, vegetables, meat, and flowers are sold at feiras (street markets). These outside markets are set up on streets, which are closed to vehicle traffic. The markets are set up in a new location every day. 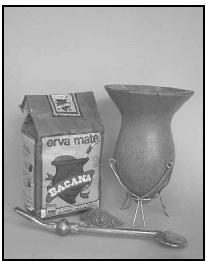 Maté, an herbal tea-like beverage, is enjoyed in many parts of South America. The cup, made from a hollowed-out gourd, and metal bombilla (straw) are carried by gaúchos, hanging from their belts. enjoy churrasco . After the gaúchos eat their meal, they drink maté (an herbal tea drunk in many parts of South America). The tea leaves are placed inside a hollowed-out gourd, and then boiling water is poured over them. Gaúchos slowly sip the maté through a metal straw, called a bombilla, with a strainer on the lower tip of it. The gourd and straw are carried, hanging from the belt. Another popular beverage is guaraná, made from a small red fruit that is high in caffeine and grows in the Amazon River area. It is a refreshing soft drink, unique to Brazil and with a taste some describe as similar to creme soda. People in the Amazon River area also chew the guaraná seeds, or make a drink by dissolving a powder made from the seeds in water. Powdered guaraná is available in the United States in some health food stores, or in markets specializing in foods from South America. Stir ingredients in a saucepan over medium-high heat until they come to a slow boil. Reduce heat to low, cover and cook for 15 minutes. Stir frequently. Spread the polenta in a bread pan. Wait until it is completely cool, then cut into 2-inch wide slices. Fry them in a skillet over medium heat in 2 Tablespoons of butter, 10 minutes on each side until crunchy. Although Brazil has no national religion, the Portuguese who arrived in Brazil in 1500 brought their Roman Catholic religion with them. About 75 percent of Brazilians consider themselves Roman Catholic. Those who do not follow the Roman Catholic religion still enjoy the world-renowned Brazilian Carnival tradition. During Carnival, colorful parades are held on the streets, and children and adults dress in costumes, dancing and celebrating in the streets all day and all night. People eat and drink continuously during Carnival, enjoying spice dishes, such as pepper-scented rice and feijoada, and sweets. Carnival is a week-long party that ends on Ash Wednesday, the beginning of the 40-day religious period of Lent before the Christian celebration of Easter. During Lent, it is a Roman Catholic tradition not to eat meat. Pour the vegetable oil into a large saucepan and heat for a few seconds. Add the onion, garlic, and rice. Fry gently, stirring for about 4 minutes. Add the chili pepper, hot water, and salt. Stir well and bring to a boil. Simmer for 15 to 20 minutes, until the rice is soft and the water has been absorbed. Remove the chili pepper and serve. Festivas Juninas (June Festivals) are held in honor of Roman Catholic saints—St. Anthony, St. Peter, and St. John. Brazilians believe St. John protects the corn and green bean harvests, giving them plenty of food in the upcoming year. They celebrate St. John's Day with a harvest festival. Brazilians like to eat corn, as corn-on-the-cob and popcorn, and corn-based dishes such as corn puddings and corn cake, at all of the Festivas Juninas. Place all of the dry ingredients into a bowl and mix; slowly add milk, eggs, butter, and corn; mix until smooth. Pour the mixture into a large greased loaf pan. To test if the cake is done, stick a toothpick into the center; the cake is done when the toothpick comes out clean. Remove the cake from the pan by turning it over onto a wire rack to cool. Brazil is the world's largest producer of coffee, and Brazilians use coffee in many unique ways in cooking. For example, on Christmas Day, Brazilians prepare a turkey basted with a rich dark coffee with cream and sugar. The traditional stuffing contains farofa (ground manioc), pork sausage, onions, celery, and seasonings. Side dishes for this meal are mashed white sweet potatoes, banana frita (fried bananas), and green beans. Dessert is an assortment of fruit doces (sweetened fruits, preserved through slow cooking), star fruit, and strips of mango. In a mixing bowl, gently toss the bananas with egg to moisten, then lightly roll the bananas in the breadcrumbs. When the foam goes away, add the bananas and fry on all sides until golden. Because Brazil is the world's largest producer of coffee, a typical pequeno almoço (breakfast) consists of a cup of café come leite (a hot milk and coffee mixture) and a piece of French bread. Many Brazilian children also drink a coffee and milk mixture for breakfast. Lunch, usually the biggest meal of the day, consists of rice, beans, salad, meat, or other dishes, depending on where the family lives and what they can afford to buy. Between lunch and supper some Brazilians have midmorning and midafternoon café , which includes coffee, hot milk, and cookies. Pastels and empadas , little pastries filled with any combination of shrimp, meats, and cheeses that are either fried or baked, are a favorite snack. These can be purchased by street vendors (Brazilian "fast food") or made at home. In the late evening, many Brazilians eat a light supper. Children enjoy desserts such as pudim or churros , fried dough rolled in sugar and filled with caramel, chocolate, or sweetened condensed milk. Grease the cups of a 10 to 12 muffin tin and sprinkle with a bit of sugar. In a saucepan, combine sugar and water. Bring to a boil, stirring until mixture forms a thin syrup. Add butter and remove from heat and allow to cool. When syrup is cool, add the egg yolks and coconut and mix well. Pour mixture into sections of muffin tin. Place tin in a larger pan filled with 1 inch of hot water. To test if they are done, stick a toothpick into the center—it should come out clean. When the custards are cool, turn the tin over onto a large platter. Serve in bowls. Serves 12. The Portuguese brought oranges and other citrus fruits to Brazil in 1500, and they are used in several dishes and juices. 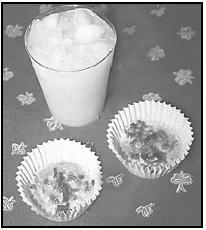 Students may enjoy a fruity drink, such as pineapple-orange drink, as an after-school snack. Pour the crushed ice and water into a large drinking glass. Add the orange juice and the pineapple juice. Stir and drink. This drink can also be made quickly in a blender. Serves 1 or 2. Children may take quejadinhas (coconut and cheese snacks) to school as part of their lunch. These treats do not need to be heated and, if stored correctly, they stay fresh for several days. Drop the coconut-cheese mixture by spoonful into baking cups. Place all of the ingredients in a medium-size bowl and mix well. Place paper cups into the cups of a muffin tin. Drop the mixture by the spoonful into the paper cups. Place the muffin tin in a larger pan that has been filled with about 1 inch of water and cook for about 35 minutes. These will keep well if they are stored in a tightly closed cookie tin. Quejadinhas (coconut-cheese snacks) and orange-pineapple drink combine to make a delicious snack anytime. About 10 percent of the population of Brazil is classified as undernourished by the World Bank. This means they do not receive adequate nutrition in their diet. Of children under the age of five, about 6 percent are underweight, and over 10 percent are stunted (short for their age). According to the Brazilian government, child poverty is one of the country's most serious concerns. About one-third of the children in Brazil live in poverty. Thousands of children spend their days on the streets of Brazil's cities; many abuse drugs and resort to crime and prostitution to get money to live. Many shopkeepers consider these street children a nuisance and ask police to keep the children away from their stores. International observers consider the child poverty in Brazil to be a human-rights issue, but many Brazilians see the children as a threat to security in the cities. Brazil . Boston, MA: APA Publications, 1996. Carpenter, Mark L. Brazil, An Awakening Giant . Parsippany, NJ: Dillon Press, 1998. Ferro, Jennifer. Brazilian Foods and Culture . Vero Beach, FL: Rourke, 1999. Serra, Mariana. Brazil . Austin, TX: Raintree Steck-Vaughn, 2000. LIMIAR. 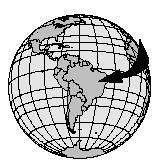 [Online] Available http://www.limiar.org/brazil/recipes (accessed February 22, 2001). Recipe Xchange. [Online] Available http://www.recipexchange.com/recipexchange_cfmfiles/recipes.cfm/2660 (accessed February 26, 2001). SOAR: Searchable Online Archive of Recipes. 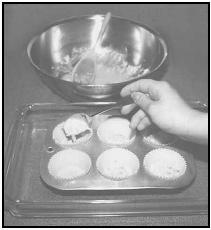 [Online] Available http://soar.berkeley.edu/recipes (accessed February 28, 2001). Although I'm not Brazilian I am Latino and your recipe for feijoada didn't seem very authentic.I've had it in restaurants and in homes of friends and it's much more complicated than your recipe. About 40 years ago, I lived in Brazil and one of our favorite breakfast things to eat was a fried cheese that I remember I fried in butter and it got golden brown and soft, but kinda chewy. We ate it with fresh bread from the bakery every day! Is there a cheese here in the U.S. that is similar? Thanks.